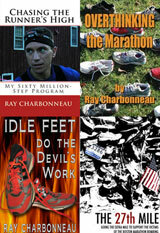 Weekends since Mother’s Day, when I ran the Boston Marathon course with Hassan, have been busy with races. 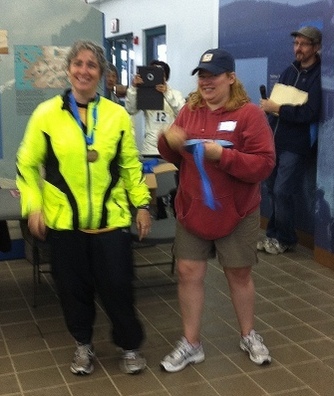 The Herring Run 5K and Paddle was May 20th. I was still a little sluggish from the marathon, but my time of 22:01 was good enough for 17th overall (3rd in my age group). 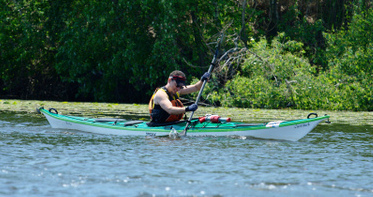 Paddlers could choose from 3, 9, or 12 mile events. Proving the principle that when there are multiple events, it’s easiest to win in the easiest event (see Chapter 6), I was the fastest single kayak (second overall) in the 3 mile paddle. 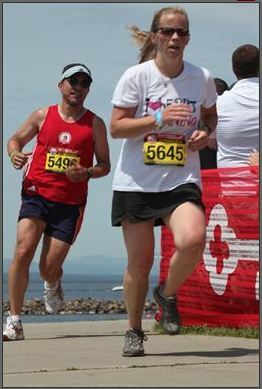 May 27th, I ran the last leg for Team Ciera at the Vermont City Marathon and Relay. 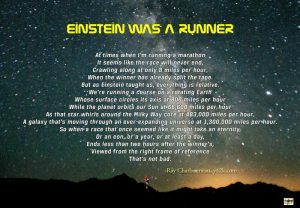 I probably passed more people then I have in any other a race (though it’s much easier when I’m running 5.5 miles mostly against people who are finishing a marathon). The woman just ahead of me in the picture (another relay runner) was the only person to pass me, but I managed to reel her in before we reached the finish. Out team finished in the middle of the pack at 4:09:21. The next weekend, Ruth followed up on her VT City relay leg by running the Spectacle Island 5K on Saturday, June 2nd in a downpour while I stood at mile 1 shouting out splits. Ruth went home with a medal for finishing second in her age group. 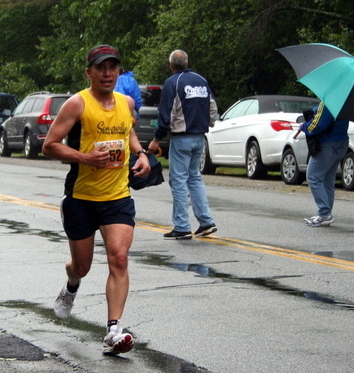 Then Sunday, in much lighter rain, I ran 21:39 at the Smuttynose Will Run for Beer 5K, the latest race in the NE Runner Pub Series. I probably could have run faster, but I didn’t push the downhills in order to avoid what Ruth has dubbed my “Short Race Syndrome”, where I beat myself up pounding out a fast race and then complain about the pain for the next week. Since we were skipping the post-race party to get in the car and drive for five hours, it seemed like the prudent thing to do. 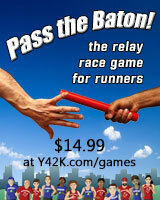 That’s probably the last race until the Bear Brook Trail Marathon on July 21st. For now, we’re just chillin’ at the lake.